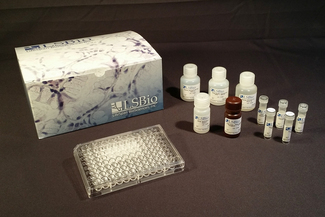 LS-F3342 is a 96-well enzyme-linked immunosorbent assay (ELISA) for the Quantitative detection of Human IFN Gamma / Interferon Gamma in samples of Cell Culture Supernatants, Plasma and Serum. It is based upon a Sandwich assay principle and can be used to detect levels of IFN Gamma / Interferon Gamma as low as 20.58 picograms per milliliter. Incubate 2.5 hours at room temperature or over night at 4°C. Add 100 µl prepared biotin antibody to each well. Incubate 1 hour at room temperature. Incubate 45 minutes at room temperature.